In deep blue Hawaii, Republican President Donald Trump has a higher approval rating than the state’s almost entirely Democratic Legislature, according to a new survey by the University of Hawaii’s Public Policy Center. Only 21 percent of 400 respondents statewide thought the Legislature was doing a good job. The margin of error was 4.9 percent for the survey, conducted this summer by Market Trends Pacific. Trump had a 28 percent approval rating, which was also higher than Gov. David Ige and Honolulu Mayor Kirk Caldwell, who were each at 26 percent. 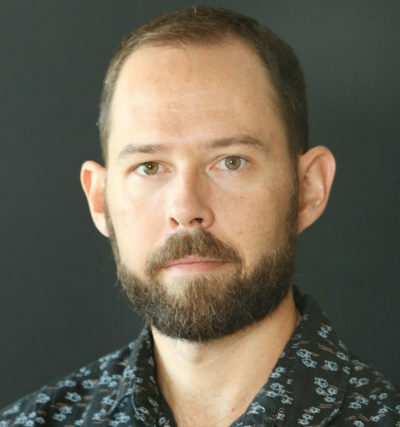 Colin Moore, who heads the UH Public Policy Center, said the Legislature’s low approval rating was “pretty shocking” for a state with so few competitive elections where incumbents almost never lose their seats. “It shows there is this malaise and tremendous discontent with politics in this state,” he said. 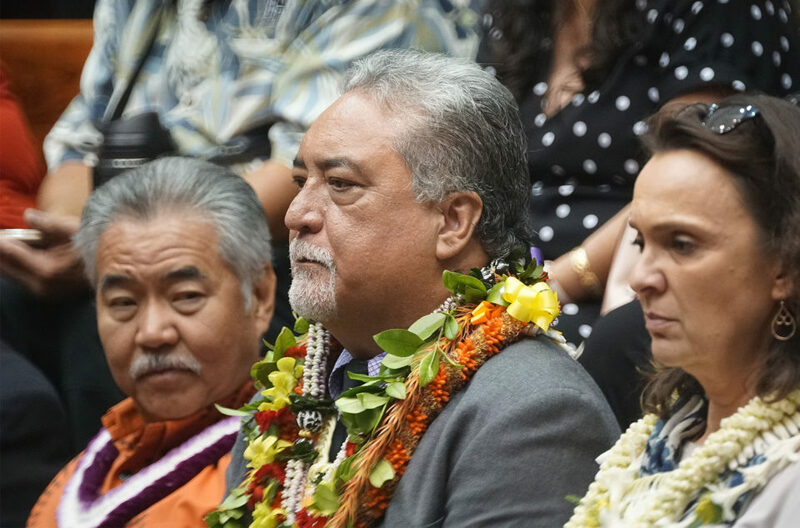 This survey will provide the baseline for future political polls, Moore said, as the policy center builds its research capacity to fill a gap it sees in Hawaii. Elected officials fared better at the county level. Councils and mayors were in the upper 20s to 40s in terms of the percent who approved of the job they are doing. At the federal level, Congress, as an institution, had a 22 percent approval rating and the U.S. Supreme Court polled at 30 percent. 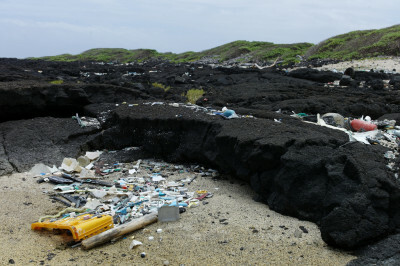 The survey also asked general questions about what people see as the most pressing problems facing the country as a whole compared to the biggest problems in Hawaii itself. Hawaii residents view the economy, immigration and health care as the most important problems facing the country. 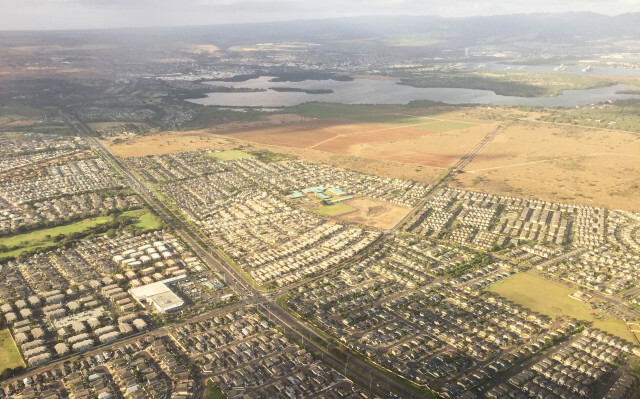 Housing was the top issue Hawaii residents care about, according to a new UH Public Policy Center survey. But they see housing, the economy and education as the top three problems facing the state. “It’s nice to see some empirical confirmation about what a lot of us had a hunch people were concerned about here,” Moore said. The county-level breakdowns of the data showed interesting results too. Housing was the top issue on Oahu, Maui and Kauai but was not even top three for the Big Island, where property values are most affordable. Looking nationally, only 8 percent of Hawaii residents surveyed saw housing as the top problem facing the United States, compared to 27 percent who saw it as the top problem facing the state. The survey’s results on the issue of race relations was also notably different, though not surprising, when viewed nationally versus locally. Only 1 percent of respondents thought it was the most important problem facing Hawaii compared to 6 percent for the country. Some groups may realize their communications are not as effective as they think they are, he said, while gaining an understanding of the competing issues. The Public Policy Center wants to conduct surveys like this twice a year so that over time one could get a sense of how public opinion is shifting on issues, institutions and individuals. Read the full survey below.